Here we take a closer look at the Nike Air Max 98 in Sail And Court Purple – the latest addition to the 98 family. 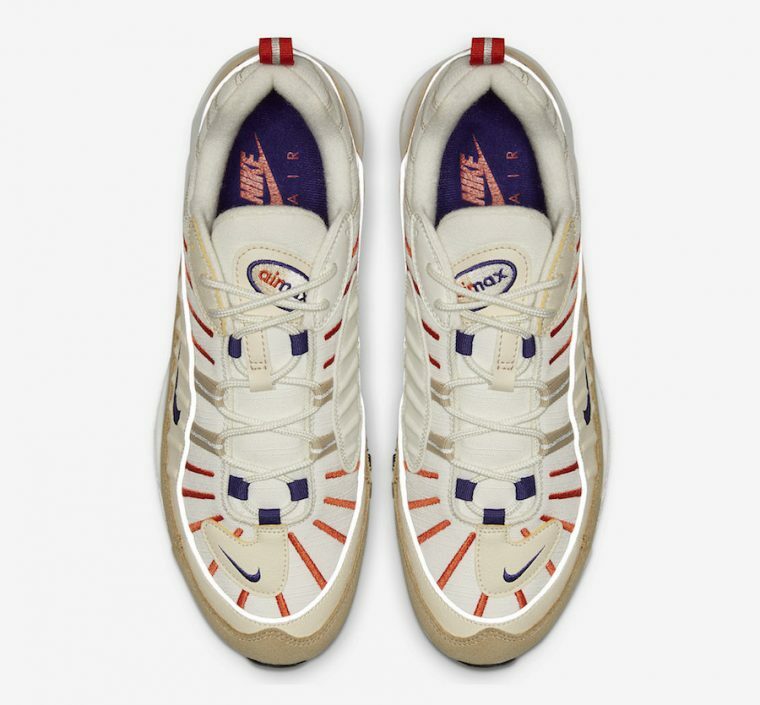 While it’s usual for Nike to go with either a super bold, in your face colour palette, or choose a more subtle, monochromatic one, these AM98 combine bright orange, tan, and purple with subdued nudes to get the best of both. Decorated in Sail White, Court Purple, Orange, and Desert Ochre, this silhouette is a great compromise between busy and pared back. It’s not just the colours that are a great mix – the textures are too. 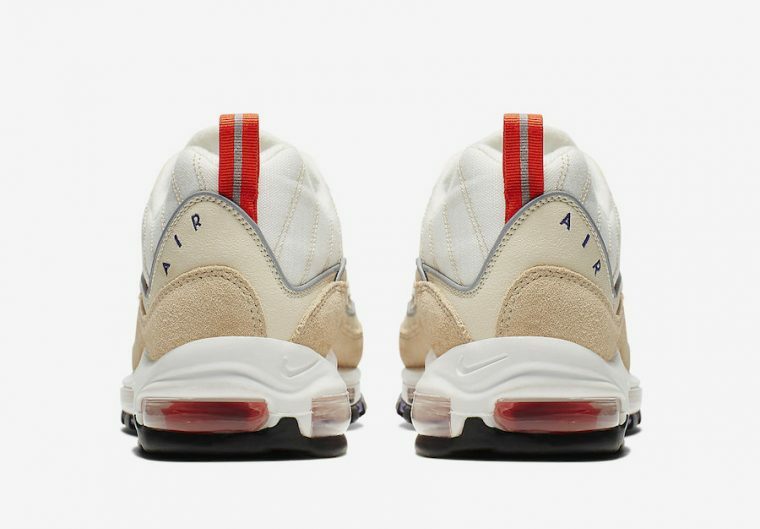 There is raised embossing on the sidewalls, a layer of suede that runs from the toe cap right round to the heel, as well as embroidered branding and exposed stitching. Below foot, there’s the full length, fully visible Air Max cushioning unit, which houses red springs, offering lightweight cushioning. Underfoot, there’s a black rubber outsole with contrasting purple details for traction. If you’re into streetwear, this silhouette would look great with a pair of slouchy cargo trousers, a utility vest and a side pouch. 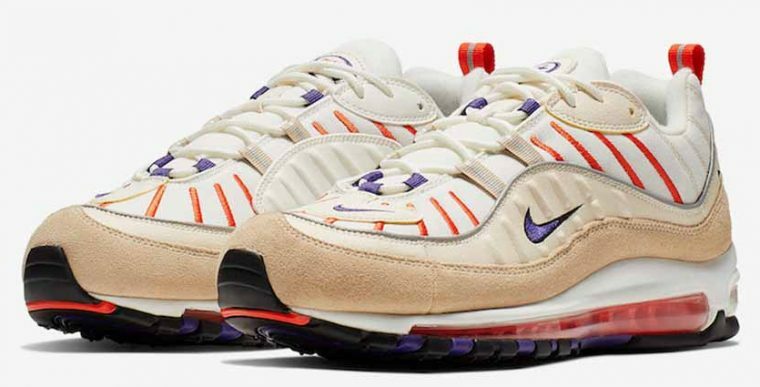 Details of when the Nike Air Max 98 in Sail And Court Purple will be released are still to be announced, so keep it locked to The Sole Womens for the latest news and all your sneaker needs.